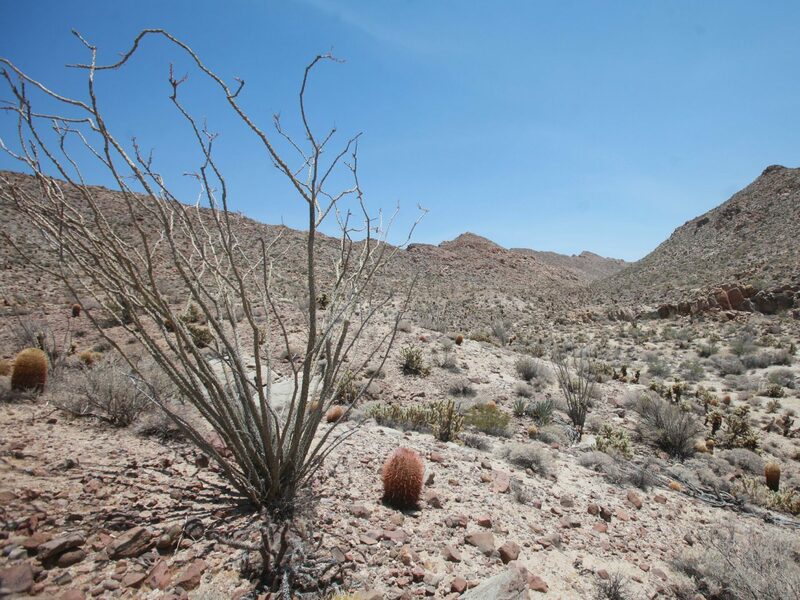 JACUMBA MOUNTAINS, Calif. — Atop a mountain range straddling the U.S. and Mexico border, Rafael Hernandez Larraenza points to grim landmarks: A rocky hill to the south where he found a decomposed corpse after searching for two months; to the east, a spot where he found two men after a desperate call from one man’s wife. Gusts of wind and dust hit Larraenza in the face. Beaten and sore on a day he led two reporters into Southern California’s desert wilderness, Larraenza knows how unforgiving it can be. Temperatures climb to 120 degrees in the summer. Winter storms drop blankets of snow, obscuring footpaths. These are the Jacumba Mountains, or La Rumorosa if you live on the Mexico side of the border. To the north is Interstate 8, linking San Diego to Calexico. To the south is Federal Highway 20 which connects Tijuana to Mexicali. The international border and 10 miles of hostile terrain lie between the highways. This is Larraenza’s habitat — a place where he has devoted his life to saving, or recovering, migrants on a treacherous path to the United States. For nearly two decades, Larraenza, 60, has searched for lost wanderers along the border from California to Texas. Three years ago, with only a vague description of palm trees, he found two men clinging to life. He and a partner searched for nearly 10 hours, until one man, exhausted and desperate, shouted from the top of a hill. His friend, Miguel, hadn’t moved all day. Miguel didn’t survive, but Larraenza helped the other man escape certain death.